Kalle Holmberg: Rise really cabbar in price in vårsolens shine? 06 Şubat 2019 Çarşamba 06:00 - 4 reads. Several media outlets reported last week about a petition on Change.org, asking Nike to pull of sneakers with a logo for the memory of how Allah is written in Arabic. Headlines such as "Muslims requires that Nike pulls offensive sneakers", "Breeds of Nike shoes" and "Muslims upset over tennis shoes, stomping on Allah" was shared extensively on social media. the Campaign, initiated by an unknown person, has received many thousand signatures on a digital petition, but it is, after all, marginal figures, taken into consideration that there are two billion muslims in the world. How many signatures are real people, we know not. Troll-factories that creates the polarizing and false news can not be ruled out. The Norwegian media are examined in detail who is behind the campaign? And if the first to write about the matter, why so generaliserende headlines? to put it in perspective. When Hans Jørgen Beacon Johansen and the Alliance expressed renspikket anti-semitism, does not the media "Norwegians spreads jødehat". Why ger it is so easy to the generalization of muslims as a group? Muslims are asked at work and school if they really want to deny Nike to sell their shoes. Muslims most only laughs of the campaign, and knows very well that Nike does not have any hidden antimuslimsk agenda. 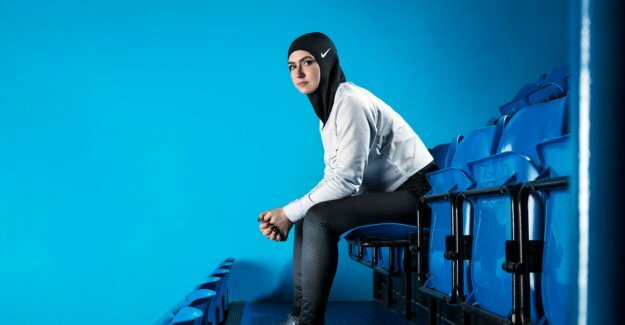 On the contrary it has the Nike marked itself as inclusive of the above muslims, for example, own Nike-hijab custom training. This case is not unique. The scope of the matters that concerns islam and muslims has exploded in the Norwegian media landscape the last few years. In a report from the Retriever in 2017, it appears that islam and muslims are more extensively covered than any other theme. Complex substance predominates, and islam and muslims generates divisions and then, but it must not be at the expense of good journalism.